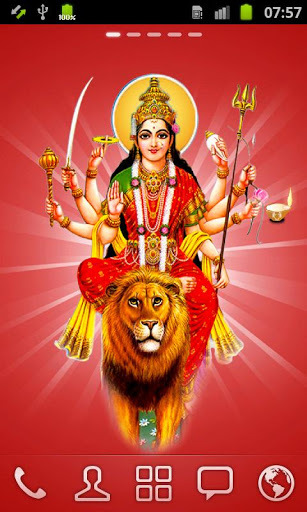 Trending Android app: Navratri Dushera live Wallpaper (FREE)!! Decorate your Android home screen with this amazing and divine wallpaper(free) which includes the beautiful image of Goddess Durga where the sparkling diya (splendor light) is rotating all around the image. Due to it's attractive graphics and divine features, it has been chosen for Trending apps of Android Market.